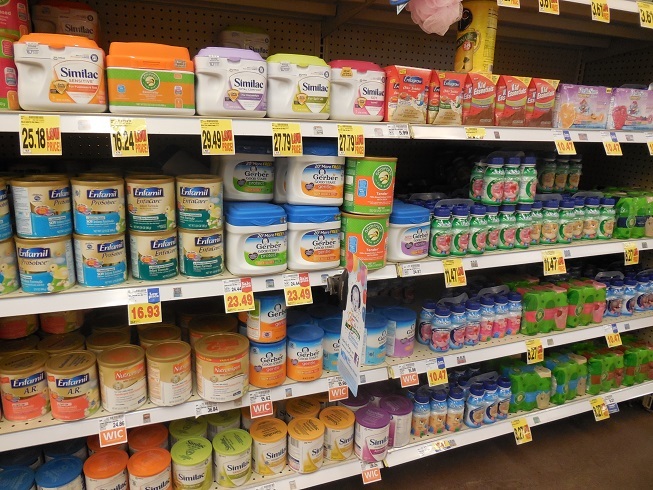 As Australian-based Chinese students and others are buying up whatever infant formula products are sitting on Australian retail shelves, China is currently considering introducing a registration system for first-time baby formula importers. The move may help slow down the rampant shopping in Australia that has seen Australia’s major supermarkets and pharmacy stores having to impose a quota on the number of infant formula products that an individual customer can buy in each acquisition. Baby formula from outside China has been highly popular ever since the 2008 problem which saw a Chinese formula adulterated with melamine. China has been considered a booming market for baby formula since the 2008 contamination scare. Its birthrate is currently expanding by approximately two million each year with the country’s government relaxing its one-child policy. The registration plan by the Chinese government comes after China finalised its ‘New Food Safety Laws’ (FSL) in April 2015. Since then Chinese authorities have been writing implementation rules, and a system for an importer registration process. If the registration goes ahead, other health foods and formula foods for other needs are likely to be included in the new importing process. Under the new laws, it is already mandatory that infant formulas made within China be registered with authorities. A proposal on whether imported baby formula will be included is expected by August 2015. The proposal will then be open to public consultation. Official statistics for exports in milk powder (including baby formula) from Australia to China show ongoing growth. For the financial year ended 30 June 2013, 17,592 tonnes were sent over to China. However, that figure is considered to be a conservative one with the absence of many private dealings and lack of full records of online selling. The 2014 and 2015 years are anticipated to be considerably higher as Australian milk powder processors are known to have expanded their production capacities substantially over the past 3 years. Chinese women too are stepping away from breastfeeding with 2013 research finding less than 30 per cent were exclusively breastfeeding. By contrast, in 1998, 67 per cent of all Chinese women were exclusively breastfeeding. The change has been attributed to reasons such as a lack of public nursing rooms and short maternity leave periods. The Chinese government however has a reported goal of raising the breastfeeding rate to 50 per cent by 2020.